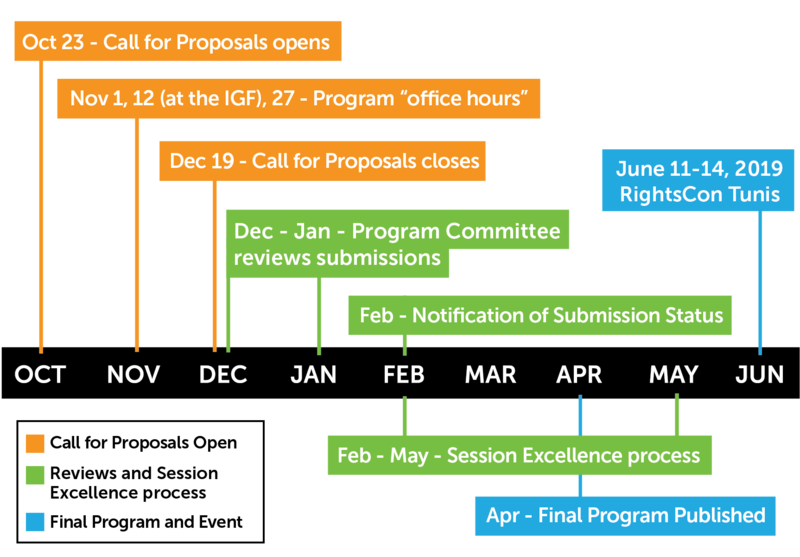 Welcome to our submission guide for the RightsCon Tunis Call for Proposals! 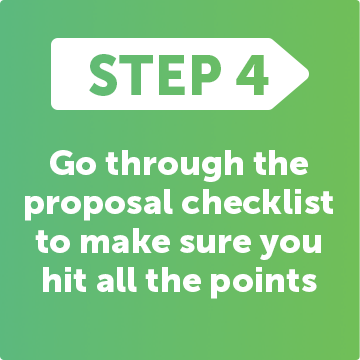 This guide walks you through the five key steps to take for a successful session proposal. Find information about the proposal process, review our evaluation criteria, schedule a time at our office hours for further questions, and more! We’ve extended the deadline! Submissions are now due December 19, 2018 at 23:59 Pacific Time. Things might look a little different around the submission form this year. We’re excited to be launching the official RightsCon Program Platform. This Platform means saying goodbye to many forms and introducing a consolidated system for drafting, submitting, reviewing, updating, and communicating the RightsCon Tunis program. You can sign in and submit your session proposal on the Platform. We’re committed to inclusion and diversity in all aspects of RightsCon programming — from start to finish. A part of this commitment is ensuring local representation in the program. This year, we’re piloting accepting additional languages in our session proposal form. 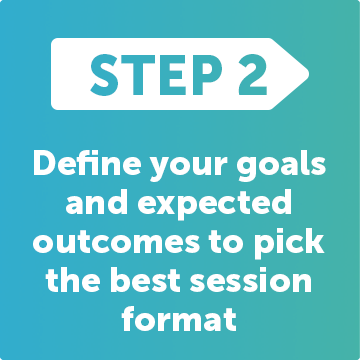 When submitting, you can choose to submit four key fields in Arabic or French: the session title, goal, description, and post-conference outcome. Ensuring all sessions in the RightsCon program are diverse, inclusive, and representative has always been vital to the summit’s success.  We have zero tolerance for manels (men only panels) and will evaluate sessions according to the key criteria, including how it can contribute to and foster a diverse, global community. You should also read more about our Code of Conduct, which governs all of our convenings and activities.  Before submitting your session, we’ll ask whether or not you want your proposal to be considered for our new Solve a Problem initiative. Our Program Committee will be selecting certain issue areas that will benefit from greater time and investment in strategy development. We’ll work with selected session organizers on the problem identified in the proposal including actively linking you with other stakeholders. Checking the box will let us know you’re interested in being considered for this initiative. Stay tuned – more information coming soon! We are strong believers in the power of talking, convening, and meeting, but RightsCon has always prided itself on translating multi-stakeholder dialogue into post-conference outcomes. This year’s program process features a re-commitment to high-quality, action-oriented sessions. A successful submission for RightsCon Tunis will be one that drives forward an agenda, tackles a difficult issue head on, or launches and consolidates a coalition. If you have a new tool to demonstrate, a training you can deliver, an advocacy tactic to workshop, or strategies for strengthening the health of organizations and staff, we want you at RightsCon. Submit your session into one of our three skill-building program categories: Tools, Demos, and Training, Advocacy and Campaigning, or Organizational and Individual Wellness. Every RightsCon session should be excellent. The three-day conference provides a rare opportunity for participants from all kinds of stakeholders to deepen their understanding of critical issues and advance their work for human rights. It is important to make every moment count for everyone. Your initial proposal plays a big part in this and we encourage you to consider our commitment to quality programming as you draft. If your session is accepted, we’ll support you in developing what we call session excellence. This may include merging similar session proposals into a single session, adjusting session formats, refining goals, and recommending additional speakers. Have a question about submitting a session? Not sure how to blend your work with the RightsCon style? No problem. We’ll be hosting a series of public Office Hour sessions, where you can chat with the RightsCon Team about your ideas and receive tips and suggestions. Every RightsCon program is divided into tracks to help participants navigate around the many issue areas our community covers. The below categories inform the creation of these program tracks by our Program Committee. Scroll below and identify which category is relevant to your topic. See more than one that applies? No problem, if relevant, we’ll let you check a secondary category in the session proposal form. An intimate and direct conversation between maximum two or three people on stage. Example from RightsCon Toronto: Fireside Chat with Reddit CEO. An interactive table-based session focusing on a single issue or question. Example from RightsCon Toronto: The Future of Online Independent Media | Ally Skills Workshop. At RightsCon, we discourage traditional-style panels. We encourage discussion-oriented formats, with speakers interacting with the audience throughout the session. PowerPoints and other presentations are discouraged. 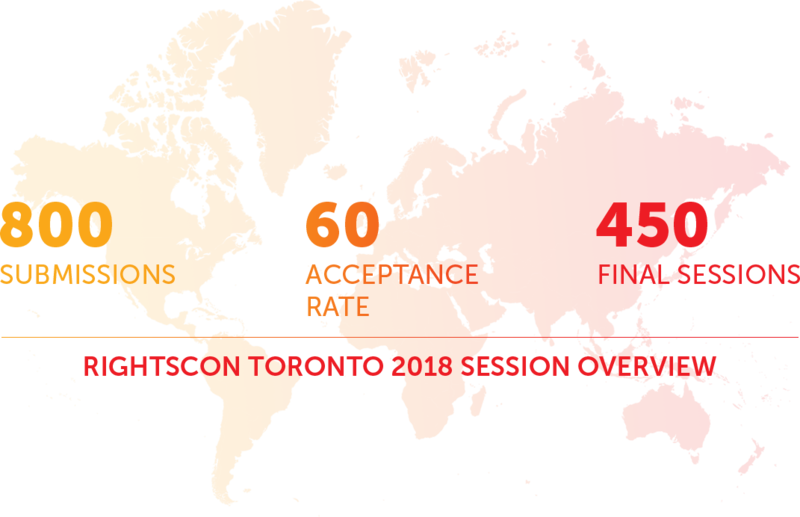 Example from RightsCon Toronto: 10 Days Before GDPR Becomes Applicable | The Global Digital Platform and the Roles and Responsibilities of Nation States. A hands-on presentation of a new technology, tool, or technical project.  | VR for the People. A 5-15 minute TED-talk style presentation featuring a single speaker on a provocative new ideas, initiative, or challenge to the RightsCon community. An opportunity to have a substantive discussion in an intimate setting with no more than 25 people. A roundtable might bring company executives face-to-face with frontline activists, or a civil society coalition to think through emerging challenges. A roundtable, without the table. These “in-the-round” sessions are participant-driven and foster interactive and substantive discussions among those in the room. An opportunity to host an informal meeting on a particular issue area. This session is meant to provide participants with the chance to network, connect, and forge partnerships for their work. New for RightsCon Tunis! A new initiative, this year, our Program Committee will be selecting certain issue areas that will benefit from greater time and investment in strategy development. Before submitting your session, we’ll ask whether or not you want your proposal to be considered for our new Solve a Problem initiative. Checking the box tells us you do! 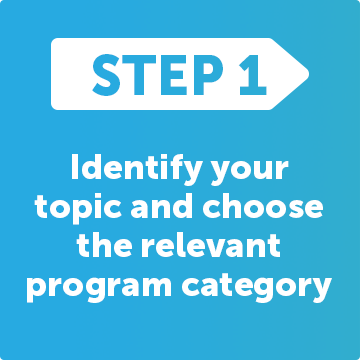 Once you have your program category, goals, and session format in mind, you’re ready to start the session proposal form. Remember, you can always save a draft and return later to finalize before submitting. As you draft, we suggest you review the criteria we use to guide our session evaluations below. How relevant is the proposal to the broader human rights space? Is it timely, and does it discuss an important and emerging issue? Is the proposal likely to engage participants in a way that inspires a real-world outcome? Does the proposal introduce new voices, new concepts, new format, or a fresh take on an issue? Does the proposal have the potential to initiate or encourage constructive cross-sector collaborations? Does the proposal feature speakers from a diverse range of perspectives, backgrounds, and communities? Does the proposal have the x factor that brings a sense of excitement and intrigue to the RightsCon program? How does this proposal fit within the track for the selected topic or issue area? Each year, Access Now and the RightsCon team work with experts from around the world to form the RightsCon Program Committee. After the submission deadline, each session will be evaluated and reviewed based on specific criteria above. 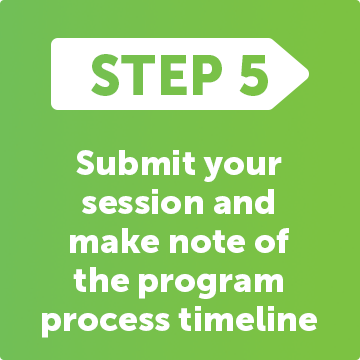 The Program Committee works alongside the RightsCon Team to curate connected, strategic, and outcomes-oriented program tracks. Note that the Program Categories will not all necessarily be reflected in the final Program Tracks.  High-quality proposals may be accepted in their original form, while others may be recommended with specific changes. Unfortunately, not all proposals will be accepted. For context, in 2018 we had 800 submissions, with an acceptance rate of 60%, resulting in 450 sessions being selected for the final program. This checklist will help you clarify logistic questions and ensure the success of your final kick. I have a clear goal and outcome for my proposal. I have potential collaborators across sectors and organizations (reminder: diversity and inclusion). I have picked a program category and a session format for my proposal. I have created an account on the program platform. I have my draft proposal saved in the RightsCon program platform (Proposal inspiration: RightsCon Toronto program). I have reviewed the Code of Conduct. Step 5: You’re all set to go! Our Office Hours will open on November, 1 2018! Sign up to RightsCon Rundown to get latest updates, programming development, and more.